Will Marré, an executive powerhouse and longtime supporter of Women, passed away on February 24. He was part of our family at WITI and he will be missed. Will was a man with a passion for education and leadership, starting several advancement companies and hosting various empowerment workshops during his lifetime. He spent the last several years focusing on Womens leadership and was an avid contributor and partner of WITI. We encourage you to read the words of wisdom that Will shared with the WITI community here. He spent over 35 years helping leaders at organizations like Johnson & Johnson, GE, Nike and Gap. His management techniques were so popular, he authored three books to teach others: Why We Need Women to Lead, Save The World and Still Be Home for Dinner, Supercharge Your Career and Work Like a Genius. Will was the co-founder and former president of the Covey Leadership Center, which brought the 7 Habits of Highly Effective People to millions around the world. He also began the American Dream Project, a organization that brought together future leaders so they could develop the ideas, tools and relationships to create sustainable abundance. The project gathered over 30,000 dreams, values and strategies for happiness from American citizens - which Will turned into the Emmy Award® winning PBS documentary Reclaiming Your American Dream. 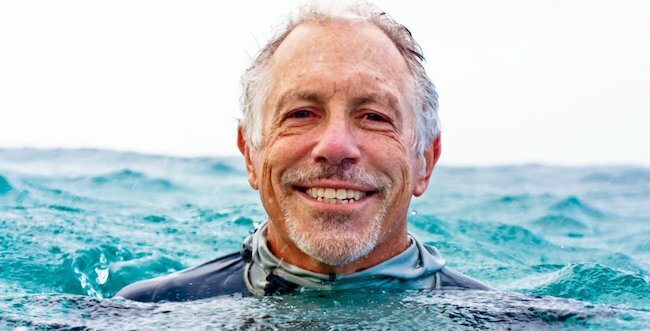 In addition, Will co-founded the Seacology Foundation, a conservation organization dedicated to saving environments and cultures of islanders in the South Pacific. Most recently, Will dedicated his time to teaching women in power how to lead effectively using his SMART Power series, which was developed to help transform individuals, teams and corporations. The series shows men and women how to utilize their strengths to communicate more effectively, bettering the efficiency and atmosphere of the workplace. We will be streaming the celebration on WITI's Facebook page if you can't make it in person. Our WITI TEAM will remember Will with full hearts and savor the time we shared.